After her surprise second-place finish at the 2018 Boston Marathon, Sellers is back—and still stunned. 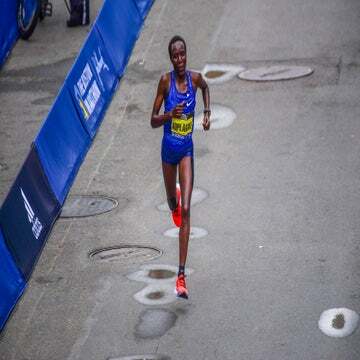 When Sarah Sellers crossed the finish line of the 2018 Boston Marathon, more than four minutes behind winner Desiree Linden, spectators and broadcasters alike scrambled to figure out who had just become the runner-up in one of the world’s most prestigious races. Sellers, 27, was just as shocked as everybody else. In historically bad conditions—pouring rain, whipping wind, and freezing temperatures—it was a day of surprises that took out top contenders and allowed runners who could endure Mother Nature’s wrath to shine. Sellers, who paid her own race entry fee, crossed the finish line in 2:44:04 and had to ask a race official more than once where she placed. 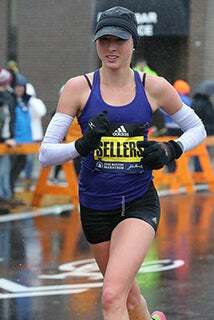 Sarah Sellers places second in the 2018 Boston Marathon. Sellers, who lives in Tucson, Arizona, with her husband, Blake Sellers, is coming back on Monday to race the Boston Marathon again. She won’t go incognito this year, no matter what her performance. That moment in 2018 altered the trajectory of her once low-key life as a full-time nurse anesthetist and part-time serious runner. Since then, Sellers has cut her work hours to focus on training and signed multiple sponsorship deals. She took home $75,000 in Boston prize money, which has gone toward the couple’s student loans (Blake is a resident in orthopedic surgery) and a saltwater aquarium. In the past year, Sellers also made a personal decision to start racing on Sundays, when required—prior to her Boston performance, as a member of the Church of Jesus Christ of Latter-day Saints, she chose it as a day of rest. But she believes the results last year presented an opportunity to positively impact others through her running. She’ll arrive at the Hopkinton starting line this year with a personal best time of 2:36:37, set at the 2018 New York City Marathon. 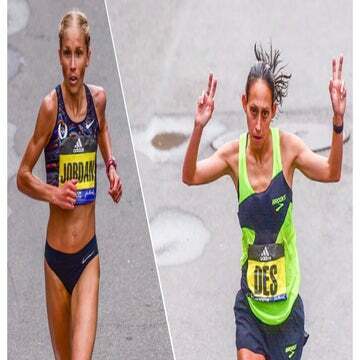 Although it is more than seven minutes faster than she was last April, on paper, it still puts her out of contention for a top spot in the field, which includes Linden, Jordan Hasay (2:20:57), Sarah Hall (2:26:20), and a host of international athletes like 2017 Boston champion Edna Kiplagat, Worknesh Degefa (2:19:53), Meskerem Assefa (2:20:36), and Mare Dibaba (2:19:52). The pressure to perform is mostly self-created, she said. At the NYC Half in March, she finished 13th in 1:14:05, which was the fastest 13.1-mile race she’s run, but perhaps still meeting her high expectations. 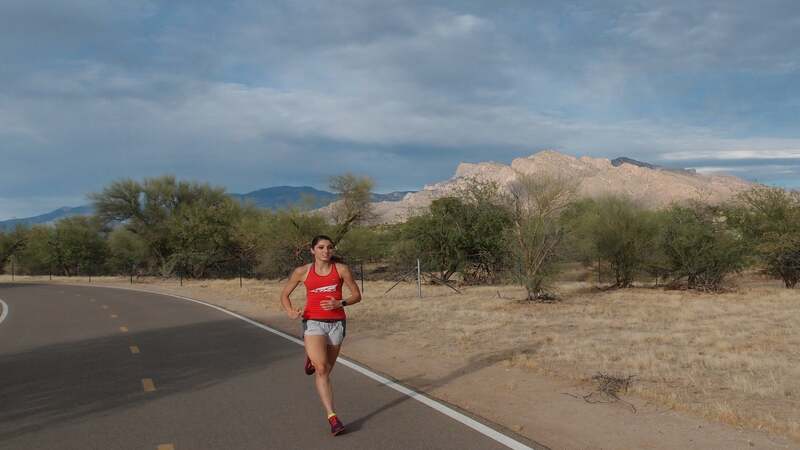 As she continues in the sport, Sellers, who competed in cross country and distance events on the track for Weber State University, in Ogden, Utah, is well aware that success at 26.2 miles requires years of consistent, healthy training. She’s tried to brush off the high expectations of others, she said, realizing that lightning doesn’t often strike twice, even in the notoriously fickle New England springtime. Goals this year include setting a new personal best. On an extraordinary day, Sellers would like to finish in the top 10 or hit the 2020 Olympic standard of 2:29:30. “I’m very goal-oriented and when I define a goal and don’t reach it…it’s hard to overcome the feeling that I’m a failure,” she said. But in addition to her high pursuits in running, Sellers still maintains her successful nursing career, which involves long hours on her feet in the operating room. Her husband, for one, admires her work ethic and supports it by encouraging rest, nutrition, and even dropping drinks along her running routes on Friday nights, ahead of her Saturday morning long runs. Sarah Sellers celebrates her second-place finish at the 2018 Boston Marathon at work, where she is a nurse anesthetist. Blake will join his wife in Boston, continuing his role as her primary cheerleader.